I like to keep a large variety of plastic trailers for jigs and spinnerbaits. Having the right trailer on at the right time can make all the difference. Sometimes fish will want a trailer very little action. Other times, they want something with a lot of movement. There are times when fish prefer a larger trailer over a smaller one. 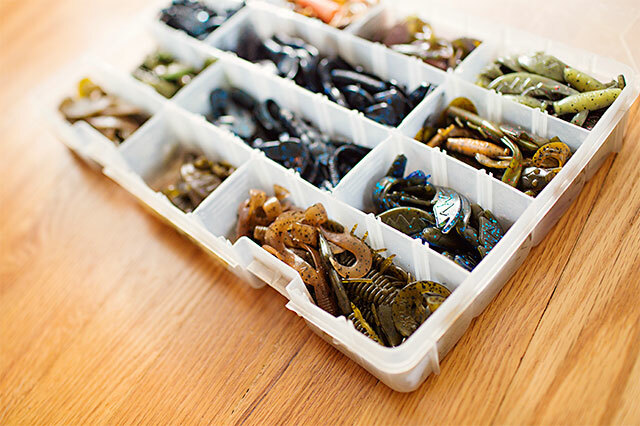 To complicate the decision process even more, there are even times when fish will pursue a jig better if it has a trailer color that doesn't match the jig itself. The number of different combinations is nearly infinite. There‘s at least some method to the madness. When fish are lethargic, I'll go with smaller trailers and/or ones with less action. If fish are very active, I'll opt for a trailer with more action. If I'm going after bigger fish, I'll go for a larger, bulkier trailer. The same methodology can be applied to water clarity as well. If the water is muddy, I’ll choose a larger trailer that displaces a lot of water. In clear water, a small trailer is often a better option. On your home waters, you just need to experiment to see what works best. You might be surprised how much of a difference the right trailer will make.